Brandon D. Minde - Dughi, Hewit & Domalewski, P.C. Brandon D. Minde, a Partner with Dughi, Hewit & Domalewski, P.C., has legal experience in both the government and private sectors. His practice focuses on complex litigation, business disputes, and criminal and regulatory investigations. Mr. Minde is, first and foremost, a litigator and a strategist. He represents a vast array of businesses and individuals in high stakes civil matters, as well as those investigated and charged with crimes by the United States Attorney’s Office for the District of New Jersey, the Office of the Attorney General of New Jersey, and numerous County Prosecutor’s Offices. In 2016, Mr. Minde was selected as one of the 2016 NJBIZ Forty Under 40. NJBIZ is New Jersey’s premier business news publication, and its Forty Under 40 awards program honors individuals under the age of 40 who have been making headlines in their field and who share a commitment to business growth, professional excellence and the community. In 2015, Mr. Minde was named a New Leader of the Bar by the New Jersey Law Journal publication, a designation that was given to only 50 lawyers in New Jersey who are under 40 years old. 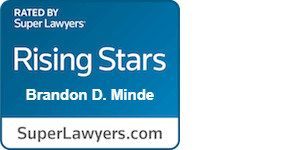 Mr. Minde has also been named a Rising Star by New Jersey Super Lawyers magazine in 2015, 2016, and 2017. Super Lawyers, a Thomson Reuters business, gives this designation to less than 2.5 percent of New Jersey attorneys recognized as the top attorneys who are 40 years old or younger. Mr. Minde previously served as Executive Director of the New Jersey Government Records Council, the state agency that adjudicates complaints filed under the Open Public Records Act (OPRA) concerning denials of access to government records, offers a mediation program to facilitate the resolution of disputes, issues advisory opinions as to disclosure of public records, prepares guidelines for use in complying with the law, and provides training on the OPRA law to government officials and the public. 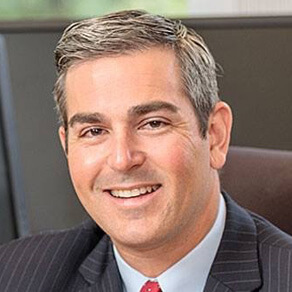 From 2006 to 2010, Mr. Minde served as an Assistant Essex County Prosecutor, where he handled numerous criminal prosecutions and conducted several jury trials. While serving in the Corruption Unit, Mr. Minde managed investigations and conducted prosecutions of corruption, fraud, government misconduct, and other white-collar crimes. Mr. Minde received training in economic crimes and financial investigations from the National White Collar Crime Center, and cyber-crime and computer forensics from the National Computer Forensics Institute. Mr. Minde was also appointed as a Special Deputy NJ Attorney General to lead a joint investigation into wide-spread election fraud through absentee voter ballots, which culminated in several convictions, including high-level government officials. 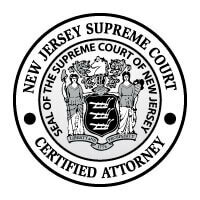 Mr. Minde is an appointed member of the Criminal Justice Act (CJA) Panel for the District of New Jersey. Mr. Minde served as Assistant Counsel to Governor Chris Christie from 2010 to 2013. As Assistant Counsel to Governor Christie, Mr. Minde provided advice and counsel to Governor Christie and the Chief Counsel to the Governor on a wide array of legislative, legal, regulatory, and policy initiatives. While serving in the Office of the Counsel to the Governor, Mr. Minde was responsible for a portfolio including economic growth and development, the Department of Community Affairs, the Department of Treasury, the Department of Labor & Workforce Development and the Civil Service Commission. Mr. Minde also served as Assistant Counsel in the Governor’s Authorities Unit, where he provided counsel on the policy and legal matters of the state’s largest independent agencies, including the NJ Economic Development Authority, the Casino Reinvestment Development Authority, the NJ Turnpike Authority, the NJ Sports and Exposition Authority, the NJ Meadowlands Commission, the Health Care Facilities Financing Authority, and the Housing & Mortgage Finance Agency. Prior to his time in public service, Mr. Minde worked as an associate at McCarter & English in the Securities Litigation, Government Relations and White-Collar Defense Group. Mr. Minde is admitted to practice in New Jersey and New York. He is a member of the New Jersey State Bar Association.